Did you know I have a WEAKNESS for potato chips. I baked a box brownie mix and put them in a cupcake and with cupcake liners. 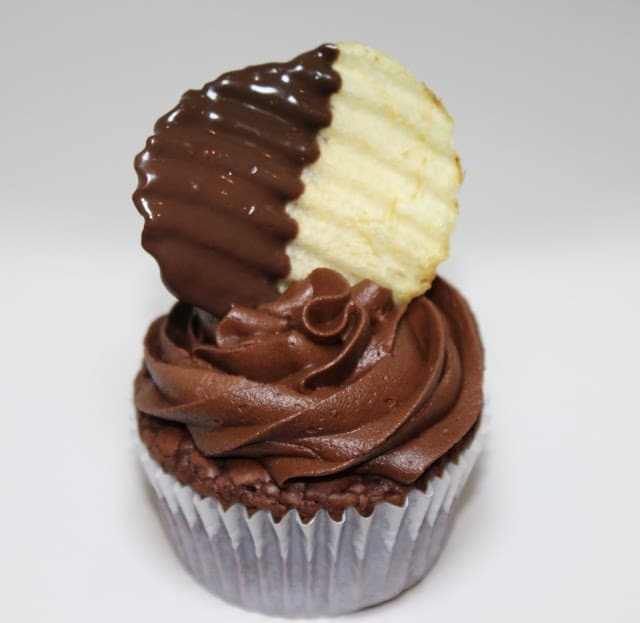 Then topped them with chocolate frosting and then dipped potato chips into melted chocolate and VOILA! Cute! You're not wrong, they match the apron! i LOVE this apron soo very much! cupcakes are my FAV dessert and how cute would it be to have them with me all the time when i'm cooking! Thanks again for all your giveaways this week Diane! Might have to try chips dipped in chocolate – that looks quite yummy. You are very right indeed! I made cupcakes Tuesday night to take to work Wednesday for my friend's birthday. I could have used this beautiful apron! 🙂 Love the salty chip on top of the cupcake! 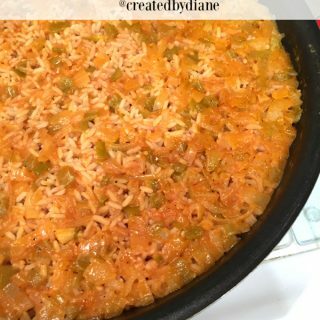 Extra yum! What a cute apron! I love the cupcakes. Oh my gosh you are so right!! I love that apron! Yum! Salty and sweet..my favorite. Yummy cupcake..perfect combo of salty and sweet! Loooove the apron too! You ARE right! That apron is so cute! Who wouldn't want one! That cupcake is making my mouth water! Adorable apron too! YUMMMMMY. You were so right!!! Love the apron too. Very cute!!! That looks so wrong…but must taste so right!!! You was right! Very cute apron. You was right! Very cute apron! You was right…that apron is cute. you are so right! i love that apron! you are so right, silly girl! :)) crossing my fingers i need an apron! You was right! Love that apron! Love the apron and I must make (try to) some of these cupcakes! My kids always make fun of me after I told them that I used to dip potato chips into chocolate when I was a teenager. I never thought of putting one on a cupcake though. Cute! You was right! So right! I would LOVE that apron! 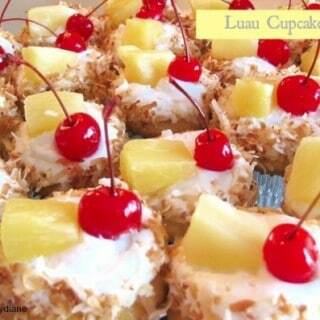 I just found your blog through your comment at "cookies and cups". I can't wait to read more. 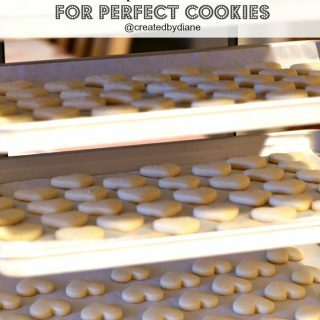 Mmmmm, love sweet and salty together…what a great idea Diane!